Health & BeautyNOW Foods Antioxidants - 60 kaps. 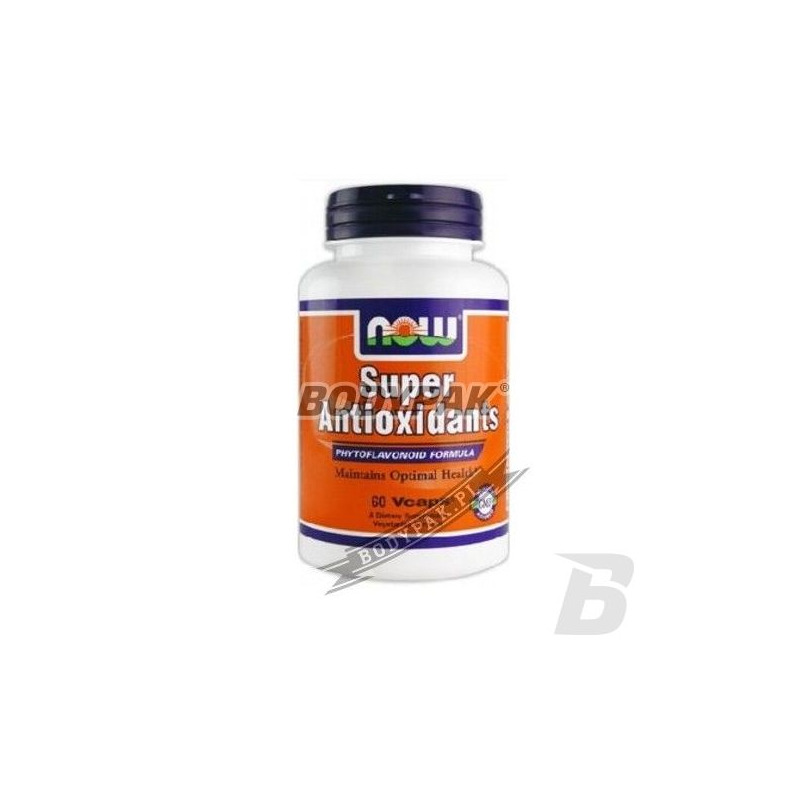 NOW Foods Antioxidants - 60 kaps. The appropriate blend of natural antioxidants contained in 2 capsules of the preparation allows everyone to cleanse the dangerous toxins lingering in our body. 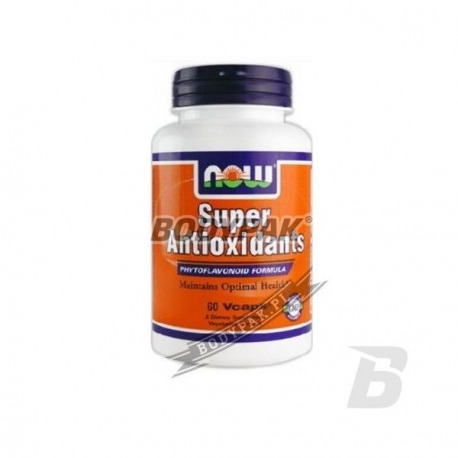 NOW Foods Antioxidant is a synergistic combination of several plants with antioxidant. Preventing oxidation of free radicals our cells will increase the overall resilience and provide our body with the energy needed to function properly. Over millions of years, nature has learned to protect the body against the effects of free radicals, giving us the antioxidants that the guardian of our health and longevity, protect the body by inactivation or preventing the development of free radicals. To protect our body against oxidative substances should be eating more antioxidant-rich fruits and vegetables. Even properly drafted and rich in antioxidants diet may be insufficient, suitable blend of natural antioxidants contained in 2 capsules of the preparation Super Antioxidant will allow everyone to cleanse the dangerous toxins lingering in our body. Green Tea Extract: Green tea extract contains some of the most powerful antioxidants (polyphenol antioxidants) that protect cells against free radicals. Milk Thistle: Milk thistle seeds increase the level of glutathione in the body (up to 50%), plays an important role in the detoxification of the body. GLUTATHIONE being a powerful antioxidant, more powerful than vitamin C and E counteracts the damaging liver cells by free radicals, promotes regeneration. The extract of turmeric: action effectively extract improves liver responsible for the digestion of fats and waste products. Supports the work of the liver and its impact on digestion and protect the liver. Quercetin: Shows widely used in nutritional supplements, anti-oxidant properties, both quercetin and its glycoside derivatives to neutralize free radicals oxidase inhibition. Bromelain: is an enzyme that facilitates the digestion of proteins. They play a decisive role in the functioning of enzymes and proteins in the body, so they should be complementary. Japanese ginkgo: It has strong antioxidant properties, thus protecting the central nervous system and cardiovascular system, slows the aging process. Effectively prevents deterioration of the mental capacity of people aging Ginger root: It improves circulation and helps digestion. It contains calcium, magnesium, phosphorus and potassium. Ginger stimulates the immune system. Also helps to remove toxins and waste products. The extract of hawthorn: protects and anti-free radical, supports the removal of harmful metabolites.